$22 - Chic yet casual, this top from Tractr is one-of-a-kind. 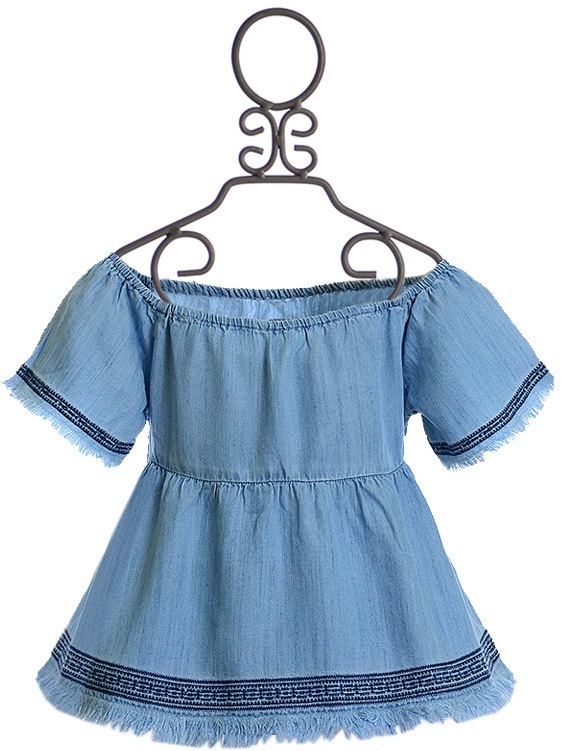 The light denim hits on trend and is accented with the dark blue embroidery stitching that is found on the hemline and short sleeves. The peasant neckline has a wide cut and a touch of stretch. The fit opens form the empire waist and falls to the fringe. 100% "Tencel" Lycocell. Machine Wash Cold, Tumble Dry Low. SIZE SM 7/8 AND MD10 AVAILABLE.